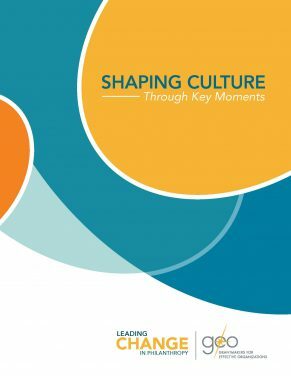 Successful grantmaking requires more than a great strategy and execution plan; it also requires an intentional focus on culture. This resource shares an example of how the Bush Foundation made diversity, equity and inclusion an organization-wide priority. Similarly, the Surdna Foundation has made diversity a priority as it set out to bring nonfamily members to its board of trustees.These and other peers are making a direct link between intentionally focusing on diversity, equity and inclusion and creating effective organizational cultures.